Ore Village is fast becoming a popular area once again for both residential living and commercial business. High Street retailers Aldi, Tesco Express and Co-Op have all invested into the area in recent years along with an already established range of independent shops and services. Sited on the A259 coastal trunk road, it offers good access to the East and links to via The Ridge and the link road to the West and the A21 to London. Seafront and promenade are situated within a one and a half mile distance along with the historic Old Town Quarter. Main line train services to Ashford International, London Station and South Coast Resort town and cities can be obtained from Ore station within a one mile distance. 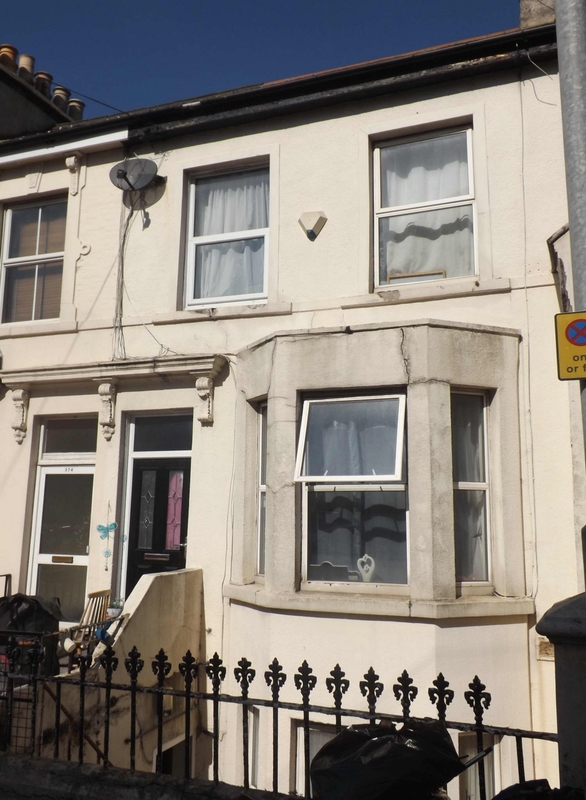 A Two bedroom maisonette located on the ground floor and first floor of a mid terraced property. The property has hallway, lounge, bathroom, kitchen on the ground floor and two double bedrooms on first floor. Heated via gas central heating with double glazing throughout. White suite comprising bath with side panel, low flush w.c., pedestal wash handbasin, wall mounted extractor fan, part tiled to walls. Cupboards over and under marble effect roll edged worksurfaces, inset ceramic sink with mixer tap and single drainer, built in stainless steel electric oven with four ring hob and hood with light over, plumbing and space for washing machine, space for further domestic appliances, part tiled to walls, power points, double glazed window to rear elevation. 11'0" x 8'0" Double glazed window to rear elevation, radiator, power points.